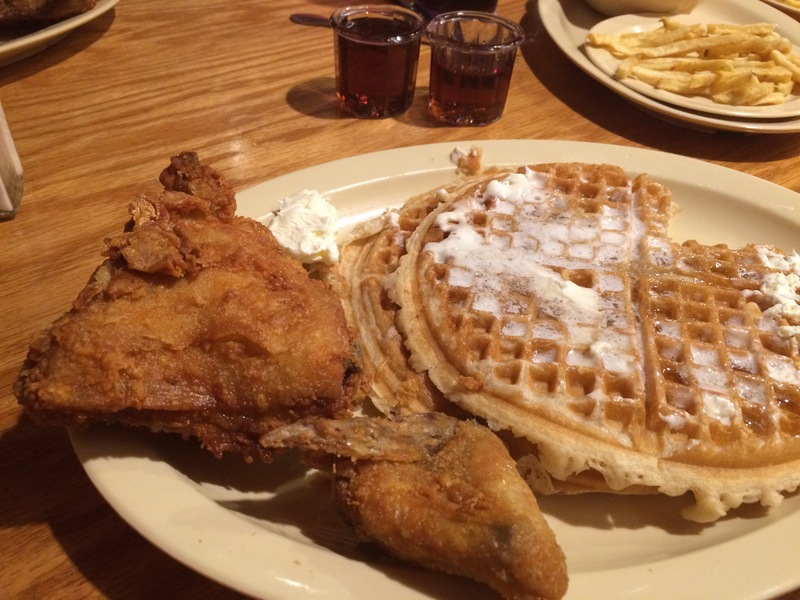 Where Has Roscoe’s Chicken and Waffles Been All My Life? 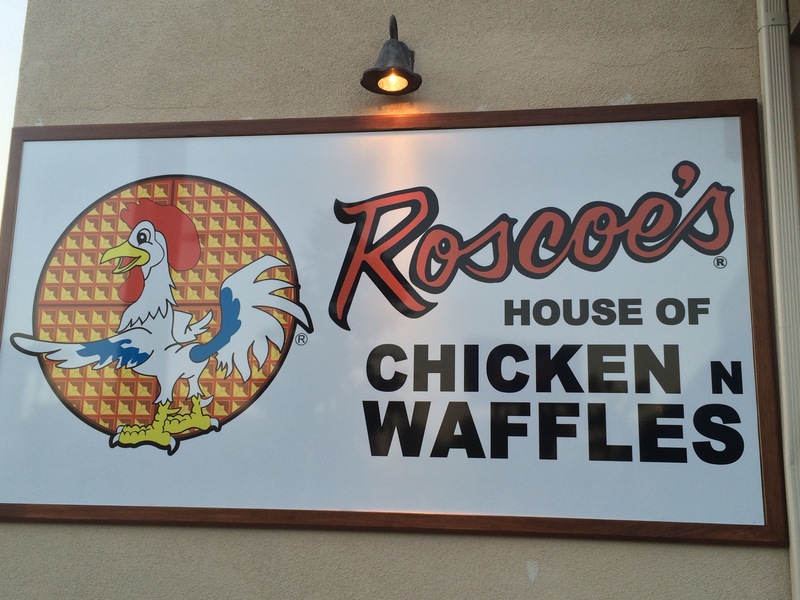 We found ourselves in Anaheim Thursday night at dinner time and found a new restaurant- Roscoe’s House of Chicken and Waffles. Twenty minutes waiting that was really only five. Curtis the “Freaking awesome” waiter (as The Boy put it) handing me a menu from which I’d like to order one of everything. This was by far the best fried chicken I’d ever eaten in my life. The waffles were delicious, too. Curtis wouldn’t tell me if there was cinnamon in the mix or not. Stinker.